Heat oven to 350°F. In 8-inch skillet, melt butter over medium-high heat. 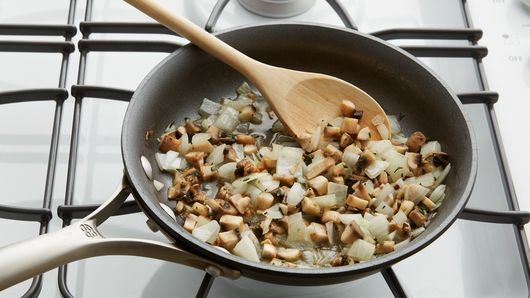 Add onion, mushrooms and thyme; cook 2 to 3 minutes, stirring occasionally, until tender. Set aside. In medium bowl, mix mushroom mixture and Gruyère cheese until well blended. Place heaping 1/4 cup mushroom mixture on center of each chicken breast. Roll chicken over filling, tucking ends to enclose filling; secure with toothpick, if necessary. 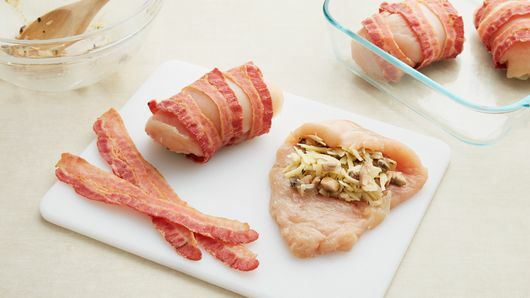 Carefully wrap each chicken breast with 3 bacon slices. Place in ungreased 8-inch square (2-quart) baking dish. Substitute Swiss cheese for the Gruyère cheese. 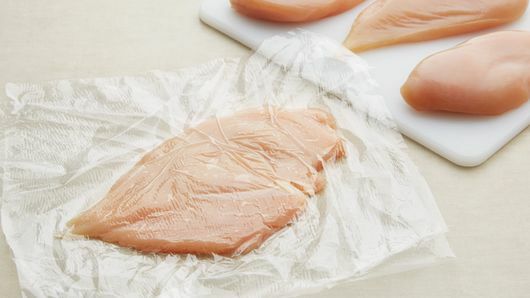 Another easy way to flatten chicken breasts is to place one at a time in a freezer plastic storage bag, not sealed, before pounding. 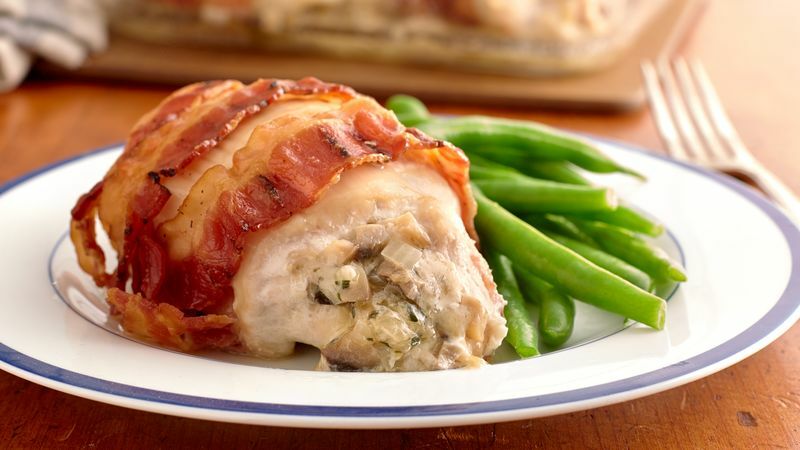 This bacon-wrapped chicken breast recipe promises to satisfy your inner carnivore. It combines juicy chicken, gooey Gruyère cheese and crispy bacon to make the ultimate weeknight comfort food. Mushrooms not for you? You can adjust this recipe to include your favorite chopped vegetable instead. Chicken is a good protein to turn to because it’s easy to prepare and a healthier option than beef. The health benefits of eating chicken include its ability to provide a great supply of protein, vitamin and minerals. Consuming chicken has also been found to help aid in weight loss, regulate blood pressure and reduce the risk of cancer. Convinced that chicken is an awesome dinner starter? We’ve got even more easy, delicious chicken breast recipes for you to try next.